One of Florida’s most controversial medical malpractice statutes is colloquially known as the “free kill law.” There are certain situations under which a doctor cannot be sued for medical malpractice no matter how egregious their medical negligence was. For instance, let’s say that your doctor has failed to diagnose your cancer before it has spread to the terminal stage. Unless you have a living spouse or children under the age of 25, the only person left who can legally sue the doctor for wrongful death is you. Except, you’ll be dead by the time the case goes to trial. While the situation may sound absurd, it, in fact, describes the situation of real people. Now, one woman’s lawyer is trying to get an expedited trial for his client who will likely not be alive to enjoy any of the money she would earn. The defendant’s attorney, however, need only stall. Once the woman has died, there is no one left who can legally bring a suit in her name. Hence the term “free kill law”. The problem with Florida’s medical malpractice statute is that it is inconsistent. If someone where to be hit by a drunk driver and die with no spouse but adult children over the age of 25, those children can still bring a claim against the drunk driver. Unfortunately, in 2000 when the “free kill law” was brought before the Supreme Court, the court ruled that the state had a protective interest in reducing medical costs. Hence the law stood, despite the fact its inconsistency with other Florida law and its mistreatment of adult children of decedents. 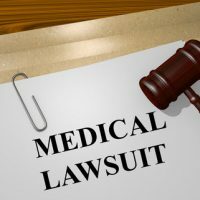 Despite all of this, the state of Florida has claimed the law was necessary because “junk lawsuits” were driving up the cost of medical treatment so high that normal people could no longer pay for it. This was ostensibly because doctor’s and hospital’s malpractice insurance was very expensive. However, the medical malpractice statutes remained on the books for over a decade and the cost of healthcare never seemed to go down. In fact, there is no evidence that damage caps or free kill laws had any impact on the cost of healthcare at all. The only effect they did have was to deprive grieving family members the right to sue negligent doctors. While the law remains on the books, many feel its days are numbered. The Palmer Law Firm, P.A. handles medical malpractice lawsuits right here in Tampa, Florida. If you’ve been the victim of medical negligence, give us a call or reach out on our webpage and we can start discussing your case.